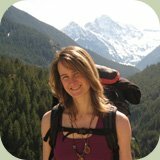 Heather Swift is an ethnobotany instructor at Alderleaf. 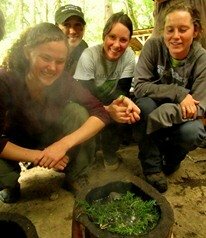 Heather is passionate about wild plants and regularly harvests wild plants for medicine and food. She has been an ethnobotany instructor atCascadia Community College and taught private classes in wild edible and medicinal plants. She is the founder of Cohabitats, a consulting collective that fosters conservation, restoration and stewardship. She has applied her tracking skills working on wildlife studies for Forterra and Conservation Northwest. After converting her backyard to be a certified wildlife habitat, she now instructs homeowners on enhancing wildlife habitat on their properties. Heather is a regular speaker for organizations including Built Green, the Northwest EcoBuildling Guild, and WSU Extension. She holds an M.S. in Management from Antioch University Seattle where she was on the faculty. She completed WSU's Forest Stewardship Program and is certified as a CyberTracker Level II for Track & Sign. Heather is an artist and enjoys hiking, cycling and rock climbing with her husband Ben.